Qigong: Seated & Standing, is designed to help those with (or without) mobility restrictions gain the health benefits of the discipline. 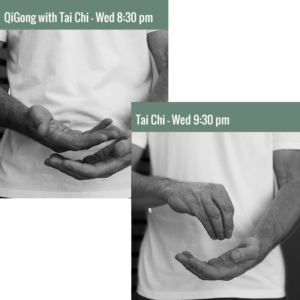 Featuring the Ba Duan Jin series of exercises and other Qigong sequences which can be performed in either a seated or standing position. The emphasis is on improving posture, range and quality of movement and achieving a calm, focussed mind.